TD-11VL01 Photopic and TD-11RW Radiometric Detectors are temperature controlled by precisely heating the detector to a higher operating temperature than the ambient temperature. 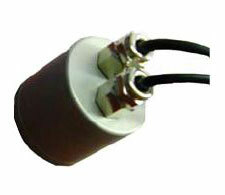 The control electronics are externally housed remotely from the detector and includes a plug-in power supply. The detectors can be combined with integrating spheres with 11-type adapters for luminous or radiant flux measurements. The detectors are supplied with a 2m long coaxial cable with selectable -1, -2 or -4 type connector for use with Gigahertz-Optik's range of optometers. Internationally traceable calibration & certification of illuminance in lux or irradiance in Wm� and W/cm� within the specified spectral sensitivity range is provided.